WATCH Who are the Rohingya Muslim refugees? The United Nations, the United States, and 42 humanitarian and civil society groups are warning about a plan to begin repatriating Rohingya refugees that may be without their consent and send them back into dangerous conditions. Myanmar and Bangladesh signed a deal last week to start returning some of the more than 723,000 Rohingya who fled state-sponsored violence against their communities in August 2017. That campaign, which the U.N. has said should be investigated as a genocide, targeted the Muslim-majority ethnic group in Myanmar's northern Rakhine state, as well as other ethnic minorities in the area, killing thousands and sending hundreds of thousands fleeing into neighboring Bangladesh. The U.S. has stopped short of declaring the violence a genocide, instead using the non-legal term "ethnic cleansing." When ABC News first asked about the joint repatriation plan on November 1, the State Department said it "would look closely at any plans to ensure that it is, in fact, voluntary," but had no comment on the plan itself. 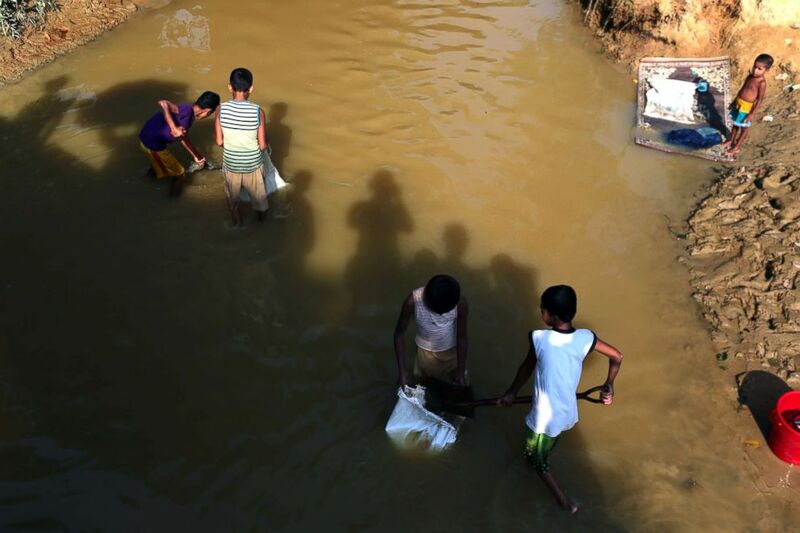 Rohingya children collect sand form the canal to repair there madrassha in the Kutupalong camp in Cox's Bazar, Bangladesh, Oct. 18, 2018. Now, it is joining the U.N. and others in condemning it and urging both Myanmar and Bangladesh to allow "for the voluntary, safe, dignified, and sustainable return of refugees from Bangladesh," according to a spokesperson. The U.S. statement follows a joint letter Thursday by 42 humanitarian and civil society organizations that work in Myanmar and Bangladesh, warning of the dangers of premature return. 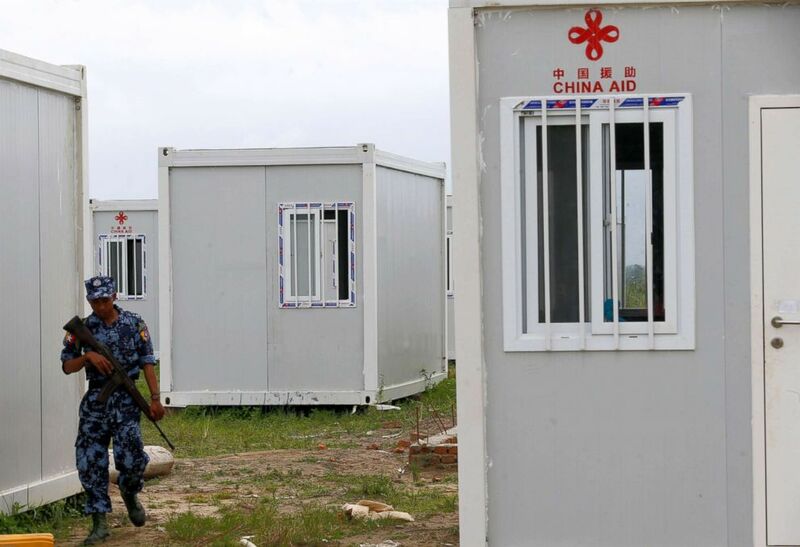 "They are terrified about what will happen to them if they are returned to Myanmar now and distressed by the lack of information they have received," the groups, including the International Rescue Committee, Oxfam, and Save the Children, wrote in their letter. While many Rohingya want to return home, they said, they fear doing so without protections like citizenship and those responsible for the slaughter being held accountable. To help address the situation, the U.S. has engaged both governments "at the highest levels," the spokesperson said. A source told ABC News that Secretary Pompeo has not made any calls on this, but the U.S. embassies in both countries have been the lead so far. Myanmar has refused access to Rakhine to aid groups and the U.N.'s refugee agency, who want to ensure that conditions are safe for the Rohingya's return. Instead, the government has denied any wrongdoing at all, saying they conducted a legitimate counter-terrorism operation against Rohingya militants. 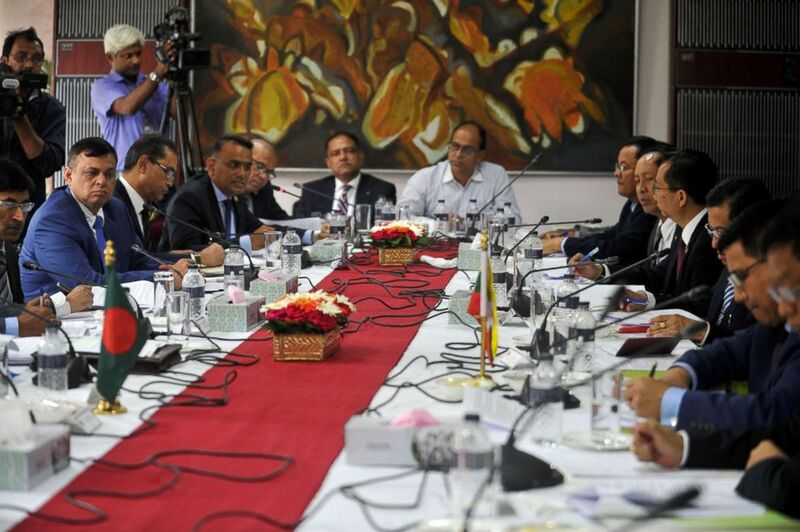 Officials from Bangladesh and Myanmar take part in a meeting in Dhaka, Bangladesh, Oct. 30, 2018. Those that have been able to access Rakhine have reported detention facilities where Rohingyas' freedom of movement is limited or their access to services and jobs is cut off. In central Rakhine state, 128,000 Rohingya and other Muslims have been confined to camps with no freedom of movement for six years, according to the NGOs' letter. "I have not seen any evidence of the government of Myanmar taking concrete and visible measures to create an environment where the Rohingya can return to their place of origin and live there safely with their fundamental rights guaranteed," Yanghee Lee, the U.N.'s Special Rapporteur for human rights in Myanmar, said in Geneva this week. Lee warned that any returns under current conditions "may violate obligations under customary international law to uphold the principle of non-refoulement," an understood practice of not forcing asylum seekers and refugees who have been persecuted to return the countries where the abuse took place. But it's unclear what the U.N. or even the U.S. can or will do about it. Over 2,000 Rohingya are expected to be repatriated on November 15, and neither government seems to be backing down from the plan. The Trump administration should issue a high-level statement with Vice President Mike Pence's upcoming trip to Asia next week and work with allies in the region like Indonesia and Malaysia to issue joint condemnations, Amnesty International's Francisco Bencosme told ABC News: "Now that the midterms are behind us, hopefully everyone can focus on one of the largest humanitarian crisis in the world where the governments might be complicit in sending refugees back to their deaths." In the meantime, many of the refugees fear for their lives: "We really want to go back, but not without citizenship. They must give us citizenship and a normal life, like the other people are living in Myanmar. They need to keep us in peace and not hurt us," said one unnamed refugee woman, according to the aid groups' letter. Rather than face repatriation, some Rohingya are now trying to flee Bangladesh into Malaysia -- hundreds of miles away. Dozens of refugees rescued in boats by Bangladeshi police said they paid money to human traffickers who promised they could take them to Malaysia amid fears they would soon be sent back to Myanmar, an officer-in-charge told the Associated Press Thursday.